Main Line Today is a city/regional magazine that provides a focus on the fabled Main Line and Philadelphia’s western suburbs. Main Line Today devotes itself to the communities, tradition and lifestyles of the region. We provide insights into the area’s people, history, culture, customs, entertainment, homes, health, and fashion. Main Line Today informs and entertains with superb photography, art and distinctively-written feature articles. 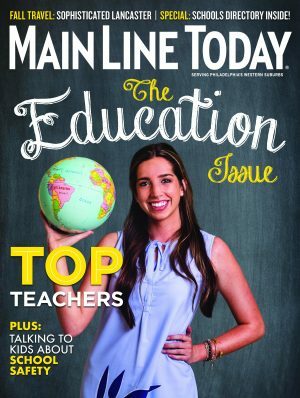 Main Line Today is published by Today Media, a successful communications company known for award-winning regional content.